The Lezyne Sport Drive HP is a great value HP hand pump equipped with the versatile Flex Hose (non-ABS). 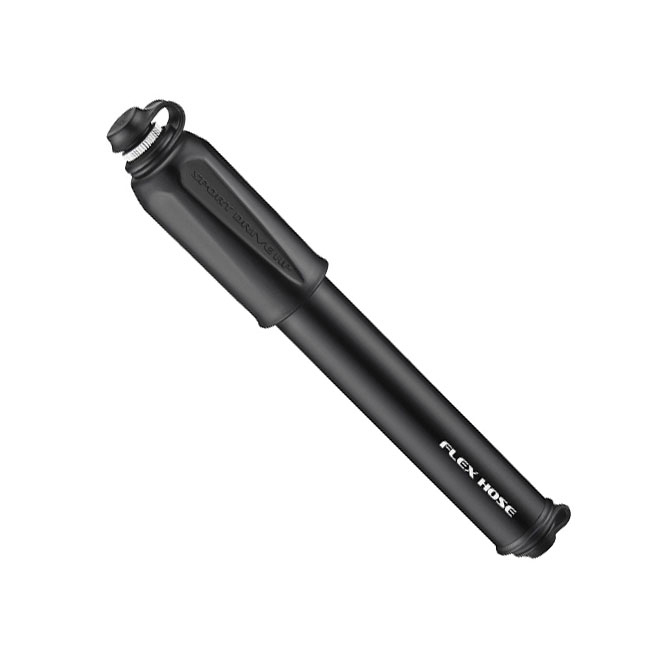 The pump barrel and shaft are made of aluminium with a Composite Matrix handle and end caps. The HP pump design easily inflates tyres to riding pressure with fewer strokes. The overlapping handle and barrel are integrated into a compact design. It comes equipped with the Flex Hose, which guarantees a secure (threaded) connection on both Presta and Shrader valves. Small and very handy. Clamped it onto my water cage. It rattled a little after some rides but used some insulation tape to silence it. Great pump at great value. Easy connection and pumps easily to required pressure. Small enough to just fit in the Topeak Aero Wedge medium wedge bag with out extending it. Seems good quality but as yet have thankfully not needed to test out! Good product. It will take an effort to pump a tire to recommended PSI. Tiny, super effective and sits snuggly on the frame thanks to the adaptor plate. Bit less impressed with this one, as previously I had one with a metal barrel and this is plastic. Would question the durability but a decent pump for a reasonable price. Excellent small pump which fits readily in a saddle bag. As advertised: low volume, high pressure. Pumping is fairly slow, but getting up to pressure is easy. Note that the frame-mounted holder is directional, though it appears symmetrical at first glance: one way is a little loose and rattles, while the other works perfectly. Useful and very small to carry while riding. Recommend highly.